For the last year, I have been a Google Local Specialist. 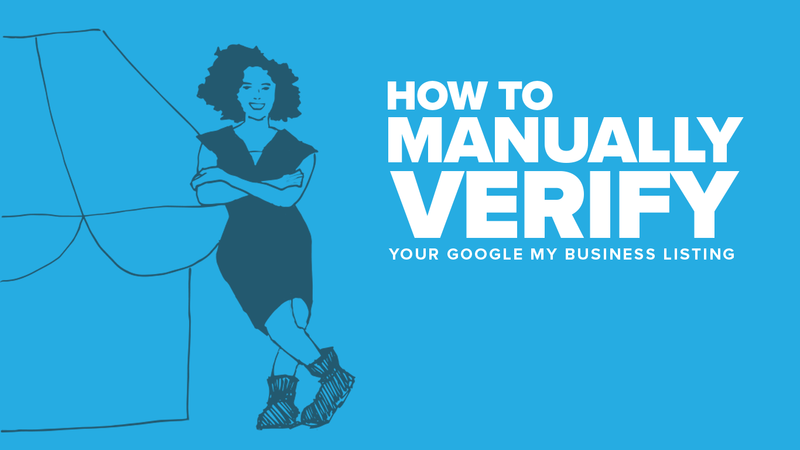 Meaning that I have had to deal with many Google headaches, although Google’s ultimate headache – Google Manual Verifications takes the cake. No matter how much preparation and due diligence I do on my part; this always seems to be a pain in my customer’s rear end — and I don’t blame them. A Google My Business listing is the foundation of your online presence. If you don’t have a verified Google My Business listing, you are missing out on one of the most crucial aspects of your online presence. Your listing is one of the first spots consumers look at when researching a business. Over 50% of mobile users will visit a store after doing a local search. If you haven’t verified your Google My Business listing, there’s a good chance you won’t show up when people search online for the products and services you provide. The goal is to have your Google My Business listing as complete and optimized as possible. 10. Reviews from past customers. There are two ways that you can get a Google My Business listing. The first is, you can create one yourself by submitting your business information to Google and then doing a series of verifications resulting in a verified status. The other option is Google’s data aggregators will create you one based off of additional information they find on the web. When this happens, Google does not notify you, and your business information stays in an unverified status. There are currently six different types of verifications that you can complete to get your Google My Business listing verified. Although which verification you will complete, well that is determined by Google. 1. Phone Verification: You will receive an automated call with a pin, you will enter this pin into your Google My Business account. 2. Email Verification: You will receive an email with a pin, you will enter this pin into your Google My Business account. 3. Postcard Verification: You will receive a postcard with a pin, you will enter this pin into your Google My Business account. 4. Instant Verification: If you have already verified your business in your Google Search Console account; you may be eligible for instant verification. 5. Bulk Verification: If you have more than 10 locations for your business, you may qualify for a bulk verification. 6. Manual Verification: Then there is the most irritating verification, a manual video verification. This verification has been driving business owners crazy since 2016. I can speak to this sentiment on a personal level. I have completed three manual verifications within the last year. I still have nightmares about calling clients only to tell them there is yet another hoop Google would make us jump through. I tell all my clients that I will do all the heavy lifting when it comes to their online presence. Unfortunately, in the case of manual verifications, I can only educate my clients as much as possible, but in the end, it’s up to them. During a manual verification, you will download the Google Hangouts app and then have a 15-minute video call with a Google representative. The representative will want to see documentation and signage, official business documents such as a business license, business card, and tools of the trade. If you are a service area business, they will also ask you to start the vehicle you use for business along with your license plate information. But, to their credit, they don’t ask you to pat your head and rub your stomach at the same time. Then we’d really see their verification percentage drop. Google thrives off of consistency, sometimes to a fault. If ANY of the information during the manual verification does not match character for character, Google sees this as inaccurate information, and will then deny your verification request. Google’s hope with these strict guidelines, is that it will, in turn, protect their customers — the almost 3 billion searches happening every day. So how can you prevent having to complete a manual verification? By making sure you are using a physical address. Sounds easy right? However, this is where the snowball effect starts to kick in for most business owners. When you are first starting as a small business, you may think it’s a good idea to use your PO box as your address for your business license. However, PO Boxes do not classify as accurate physical locations for Google My Business. Meaning you can’t use it on your listing, but if you use a different address, then your address won’t match your business license, which results in inaccurate information which leads in a denial of verified status. As much of a headache as the entire manual verification process is, to build a strong online presence you need to have a strong foundation. Taking the extra time to get your Google My Business listing sorted out is only going to help you in the future. If you’d rather not risk trying to do it yourself or you are baffled on where to begin, reach out to BizIQ for smart, local, marketing advice.